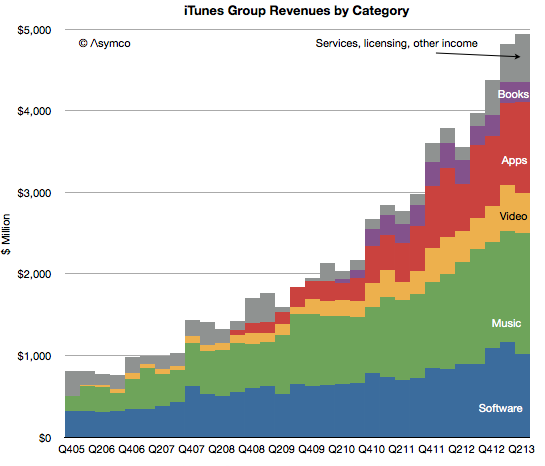 In the latest quarter the iTunes group top line grew by 25%. Quarterly revenues dipped slightly to $4 billion (second highest after $4.1 billion last quarter). Reached the best month and best week ever for App Store billings at the end of the quarter. New content added includes HBO GO and WatchESPN available on Apple TV. Apple TV catalog now includes over 60,000 movies and over 230,000 TV episodes. Users have downloaded more than 1 billion TV episodes and 390 million movies from iTunes to-date. They are purchasing over 800,000 TV episodes and over 350,000 movies per day. iOS developers have now created more than 900,000 iOS apps including 375,000 apps made for iPad. Apps created grew by 50,000 overall and 25,000 iPad apps. Cumulative app downloads have surpassed 50 billion. App developers are being paid at the rate of $1 billion per quarter. Over a 125 billion photos have been uploaded and over 8 trillion notifications were sent. The software group grew moderately at 15% as Apple’s apps are reaching saturation within the iOS user base and as Mac sales stagnate. 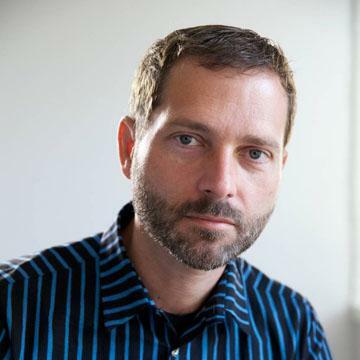 As a reminder, you can order the iTunes Business Review from the Asymco Store.